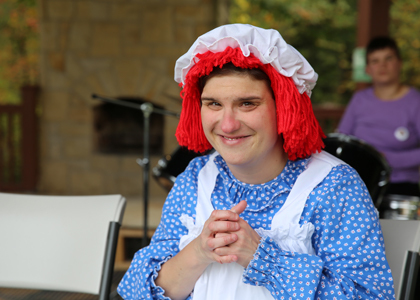 The Woodlands’ Community Programming provides the opportunity for inclusion for people of all ages and abilities during these community events. Look for fun upcoming festivities that are open to everyone! The Woodlands holds an annual Fall Festival complete with games, zip-line rides, refreshments, archery, a “Not So Scary” Haunted Trail, live music, and more. This event serves as a chance for potential participants to visit The Woodlands and experience the magic that happens here. Admission is FREE and the event is open to the public. Join us at The Woodlands for fall fun for all ages and abilities! The Backyard Bash is the perfect opportunity to experience The Woodlands in a stress-free environment while having a great time. 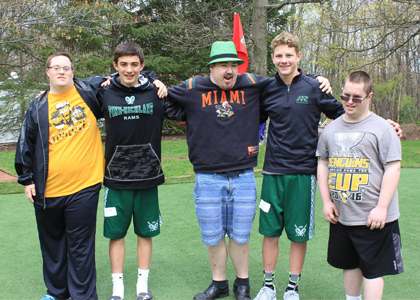 Families are invited to an open house on the beautiful upper campus of the facility to participate in games and recreation adapted for all ability levels. “Starlight Serenade” presents performances by the adult participants of The Woodlands’ Notes from the Heart music camp. 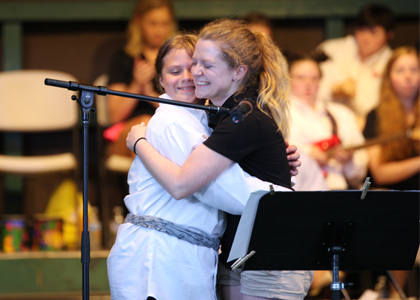 “Bringing Out the Stars” highlights the talents of the youth and teen campers, ages 13-21. 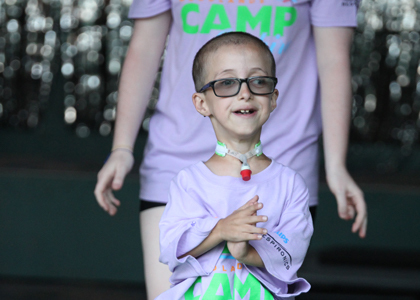 Camp INSPIRE is a place where youth with tracheostomies, ventilators, and BiPAP machines can be themselves with all barriers removed – and just be a kid! In addition to having a memorable weeklong adventure packed with joy, this experience provides participants with the chance to interact with other children with similar situations while establishing lasting social skills. Join The Woodlands along with Children’s Hospital of Pittsburgh of UPMC for a cookout and talent starring Camp Inspire campers during the annual Open House. Join us for an afternoon of fun and see what The Wellness Center at The Woodlands has to offer. During Dive-In Movie events, our therapeutic indoor pool is open to Wellness Center members, their families, and the extended community. A family-friendly movie is projected while guests view from the pool!